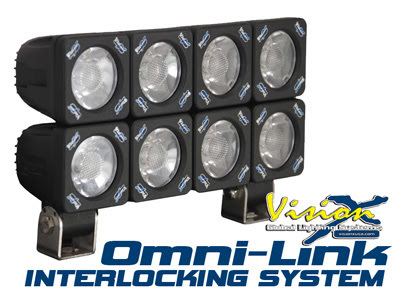 January 29, 2014 – Auburn, WA – Vision X Lighting has announced a new generation of the 2” Square Solo LED Pod. While maintaining the same die-cast aluminum housing and mounting system, the new Solo Pod introduces new LED technology and optics for more effective light output. From the 2” square housing, the Solo produces 540 effective lumens with next generation LED technology, 30% more light than the standard Solo Pod. This next generation of Solo Pods also feature redesigned optics available in 10° narrow, 30° wide, 60° extra wide, and 30° by 65° elliptical. 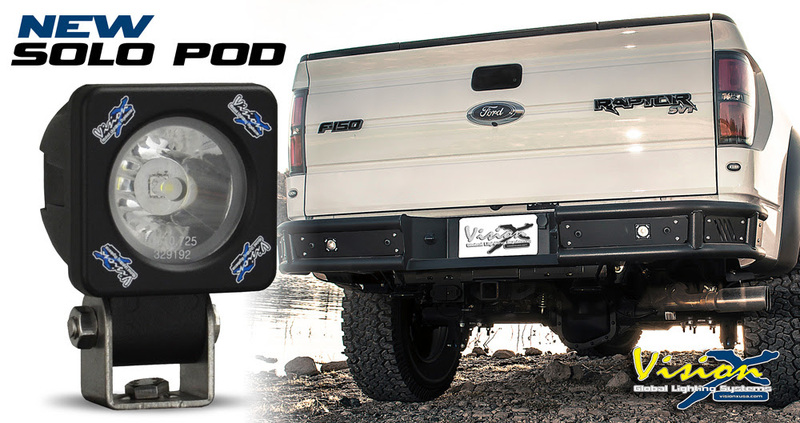 These configurations make the Solo Pod ideal for any number of applications including UTV/ATV use, truck backup lighting use, fog light kits, and many more applications. In addition to the next generation Solo Pod, the original Solo Pod part numbers are still available for order at this time. The Solo Pod revolutionized the lighting world both due to the compact 2” square form factor and the attachable accessories which create a versatile, universal lighting solution. With available handle mounts, helmet mounts, handlebar mounts, and battery packs, the Solo Light Pod will light the way. For portable, universal, take-anywhere light, the Solo LED Pod is the solution. For more information visit www.visionxusa.com or call (888) 489-9820.